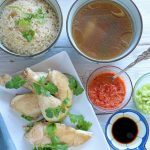 Get this Hainanese Chicken Rice recipe with 3 dipping sauces! A 3-in-1 dish that you will surely love. This chicken, rice, and soup combo is just amazing! 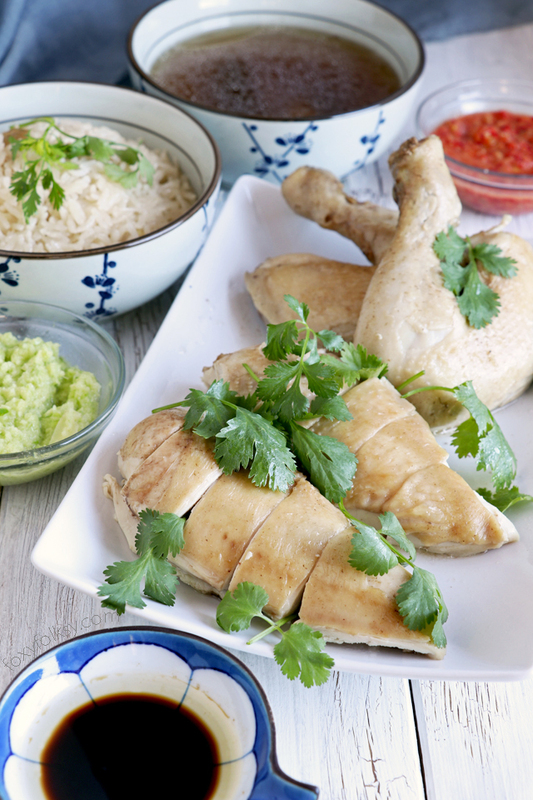 Hainanese Chicken Rice is considered one of the national dishes of Singapore but also very popular in Malaysia and other neighboring countries too. The origin, however, is Chinese, from the Hainan Province to be exact, as the name implies. 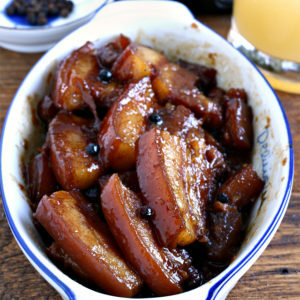 Early immigrants were said to have introduced it and the locals loved it so much and made it their own. I am in love with this dish! Really! It was my first time to try and make it and I find it truly wonderful! Kind of hard to believe especially if you haven’t had it before as it looks quite plain. But don’t let the appearance deceive you! I think it is actually the simplicity of it that makes it special. The chicken is simply poached with some seasoning and simple vegetables and spices just garlic, ginger and green onions actually. The dipping sauces that usually go with this dish are the ones that give the poached chicken that surprising burst of flavor. 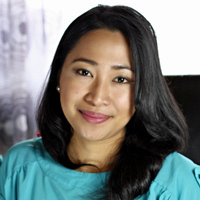 Now, let’s talk about the rice! Growing up eating rice like three times a day, of course, it is easy for me to fall for this dish. But this is not your regular simple rice, I am telling you. Sauteed with garlic and ginger in some chicken fats and then cooked with chicken broth instead of plain water. It was really good. 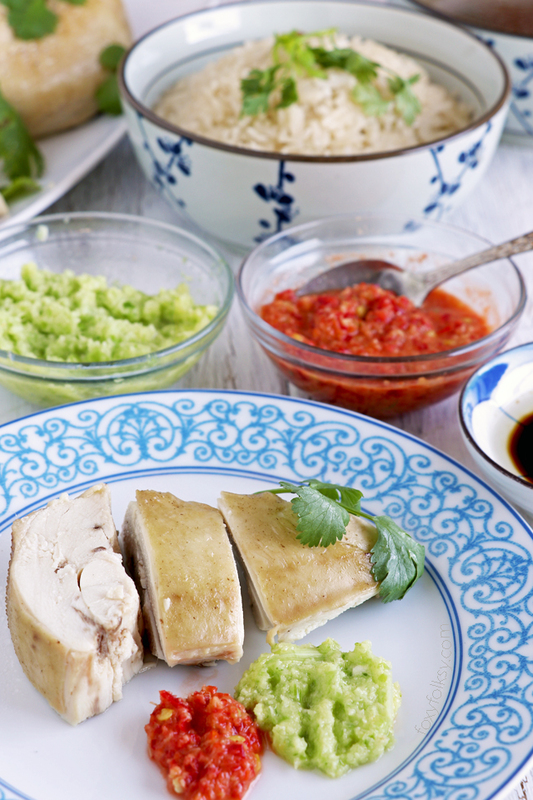 Get this Hainanese Chicken Rice recipe with 3 dipping sauce! A 3-in-1 dish that you will surely love. This chicken, rice, and soup combo is just amazing! Rub a generous amount of kosher salt all over the chicken to 'exfoliate' the skin until it is smooth looking (took me about 5 minutes). Rinse the chicken thoroughly inside and outside. Season inside and outside with salt generously. 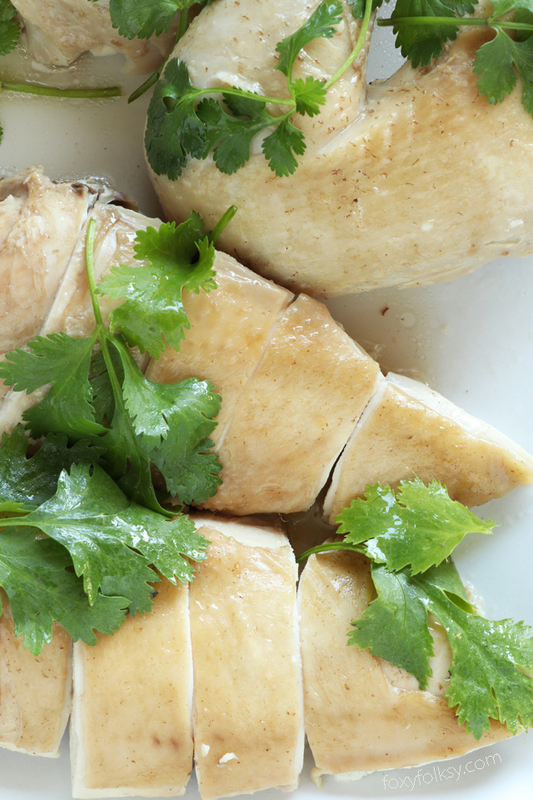 Trim off any visible fat around the cavities of the chicken and set aside. In a small bowl, mix together the soy sauce and sesame oil. Brush the inside of the chicken with the soy sauce mixture and then stuff it with the ginger slices, garlic, and the green onion. Place the chicken in a large pot and fill with water just enough to cover the chicken. Add the remaining soy sauce mixture. Bring the pot to a boil over high heat, then immediately turn the heat to low to keep a simmer. Water should not be boiling. Cook for about 15 minutes more. Skim the scum off the surface, if any. Turn off the heat and remove from the burner then cover the pot with lid and let it sit for 20 minutes. While waiting, prepare the rice. Heat oil in a small pot or saucepan over medium-high heat. Add the chicken fat trimmings and fry until golden. Remove the pieces of chicken. Saute the garlic and ginger in the chicken fat until limp and aromatic. Add the rice and cook for a minute while stirring regularly. Add 2 1/2 cup of the chicken broth and bring to a boil. Once it starts to boil, lower heat to low and cover the pot with the lid and let it the cook for 15 minutes or until rice is done. 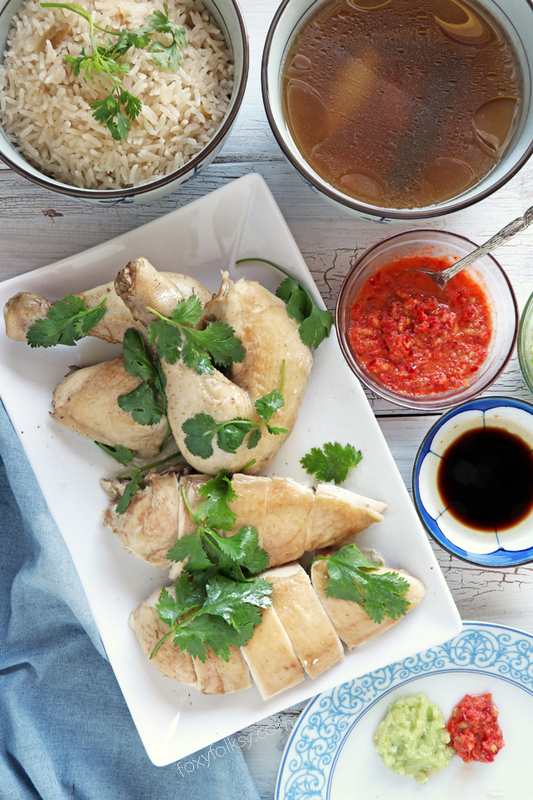 While the rice is cooking, remove the chicken from the broth and brush the outside of the chicken with the sesame oil. Carve the chicken for serving. 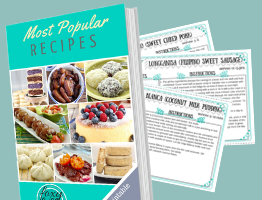 To prepare the sauces, make the ginger sauce first by putting all ingredients in a mixer/blender and process to a fine texture. Transfer to a dipping sauce dish leaving about a tablespoon in the blender. In the same blender, add the remaining ingredients for the chili sauce dip and pulse until fine and bright red then transfer to a dipping sauce dish. For the soy sauce dip, just combine soy sauce and sesame oil in a dipping sauce dip. Just before serving, heat up the soup, taste and season with salt as necessary.